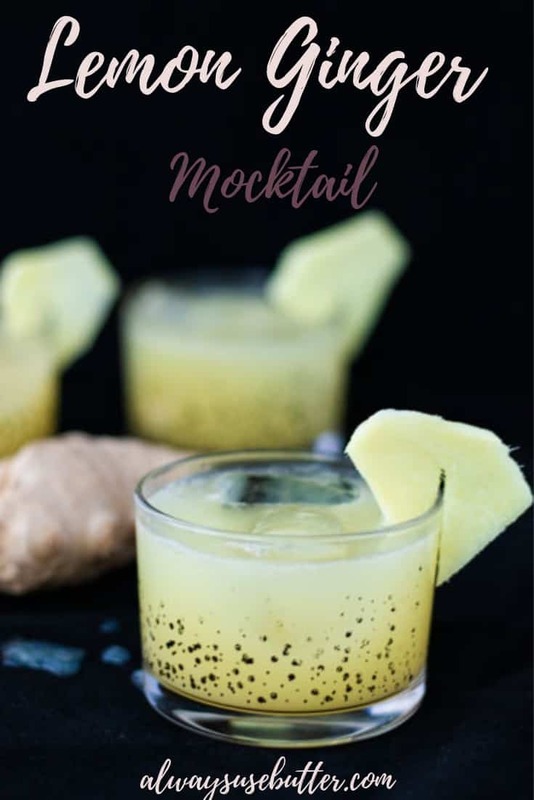 This Lemon Ginger Mocktail is a deliciously fragrant and slightly spicy non-alcoholic cocktail with all the wonderful health benefits of lemon & ginger. 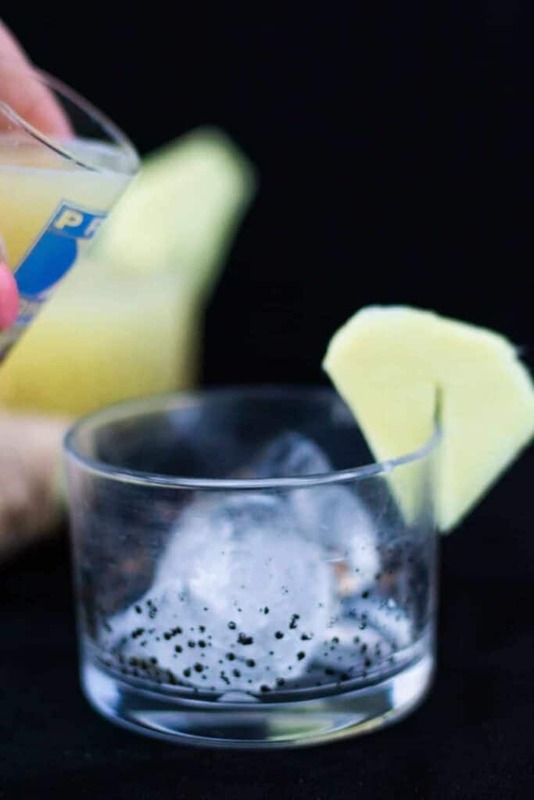 Without sugar this mocktail has a grown-up, non-sweet taste and works just as well for a cocktail party as it does as a morning elixir to fight off colds. 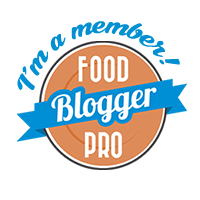 Remember the Thai Ginger Coconut Soup I posted the other day? Yeah, I got kinda obsessed with ginger after creating that one. I always love ginger but I somehow forget how amazing a simple ginger shot is (not to mention how it wakes you up!) and how comforting a cup of hot water with lemon & ginger can be in the middle of winter. 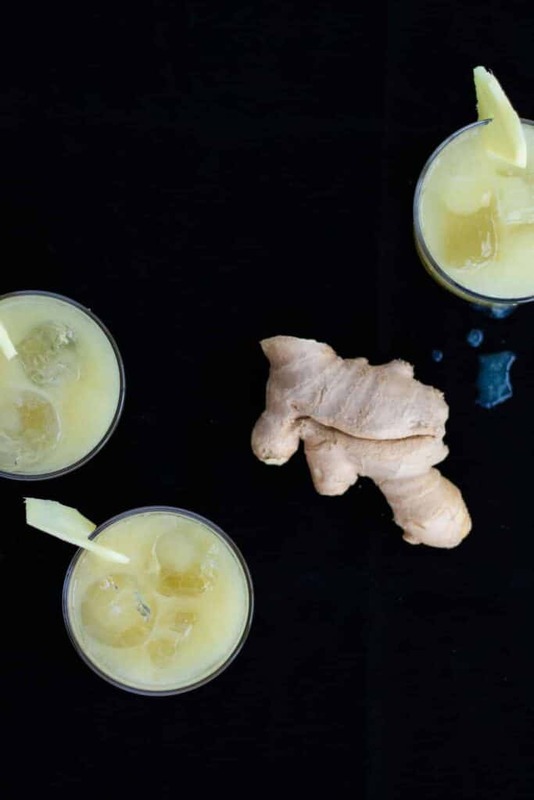 Anway, my obsession made it obvious – the next January Mocktail had to be a ginger one! I tried with ginger beer. I tried with ginger ale. I tried with fresh ginger. 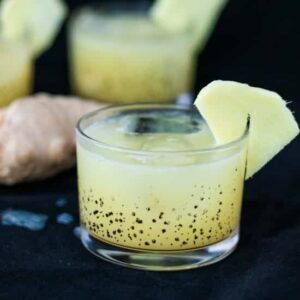 But while ginger beer can pack too much spice and is difficult to pair with any other flavors, ginger ale can be too sweet. And grating fresh ginger and then straining the final product just seemed like far too much work. And so I finally landed on a dressed up version of an old favorite: the lemon ginger shot. Taller and iced and with soda water to bring it all the way over from morning juice to the cocktail side, this is truly a delicious mocktail. 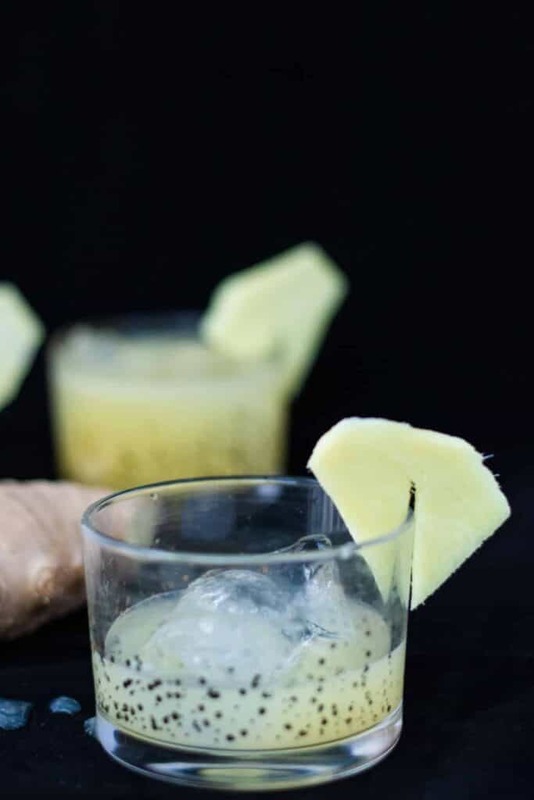 The spice from the ginger is such a great substitute for alcohol – kinda the same bite, you know? And not to mention the health benefits of this! Not only does it not contain alcohol, or sugar, or even any sugary fruits. It also contains two of my favorite winter companions : ginger and lemon. You’ve probably heard about all the amazing health benefits of ginger and lemon. But what of it is really true? Read on and find out! The short answer is – no. Sorry about that. However, the slightly longer answer is that while the Vitamin C loaded lemon isn’t guaranteed to keep you cold-free, it sure helps when you’ve already caught one. Scientific studies have shown that taking Vitamin C supplements regularly reduces both the severity and duration of colds. What are other health benefits of lemon? Apart from containing loads of Vitamin C, lemon is also great for both digestion and detoxing. 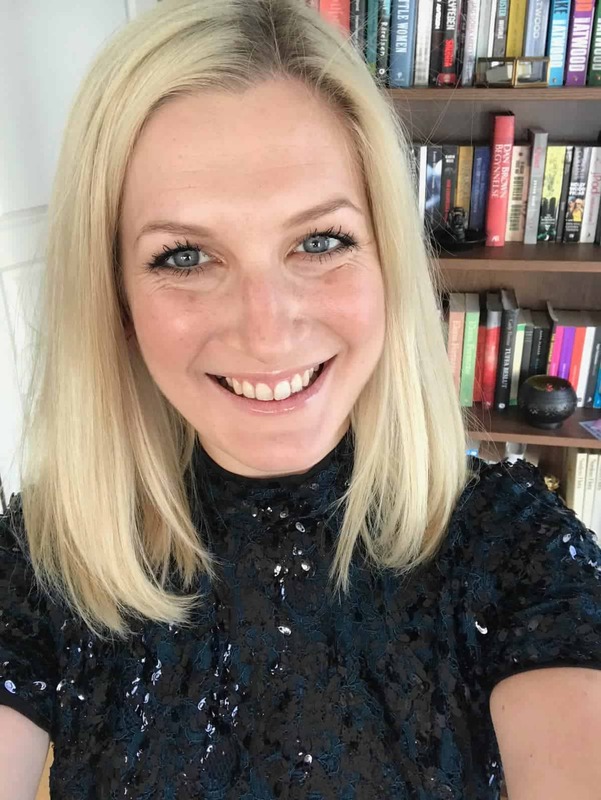 Now some say we don’t “need” to detox our bodies – but I for one know I am craving all things lemon whenever I’ve had a few too many drinks the night before, and I’m guessing that’s for a good reason! And at basically no calories and very little fructose (the sugar commonly found in fruit) I for one will not be missing out in case the whole detox thing is for real! Now ginger… ginger is good for so many things. And best of all? Most of them actually have scientific support! And as if that wasn’t enough, it may even help prevent both cancer and Alzheimer’s disease. If you want to know more about all these benefits and exactly which scientific studies support them – check out this article on 11 Proven Health Benefits of Ginger. So, to summarize – while drinking lemon & ginger concoctions like this Lemon Ginger Mocktail might not keep you away from all colds this winter (meaning: you should still wash your hands) it can reduce the sverity and duration of those colds. And as if that wasn’t enough, it will help your body in the long run as well. 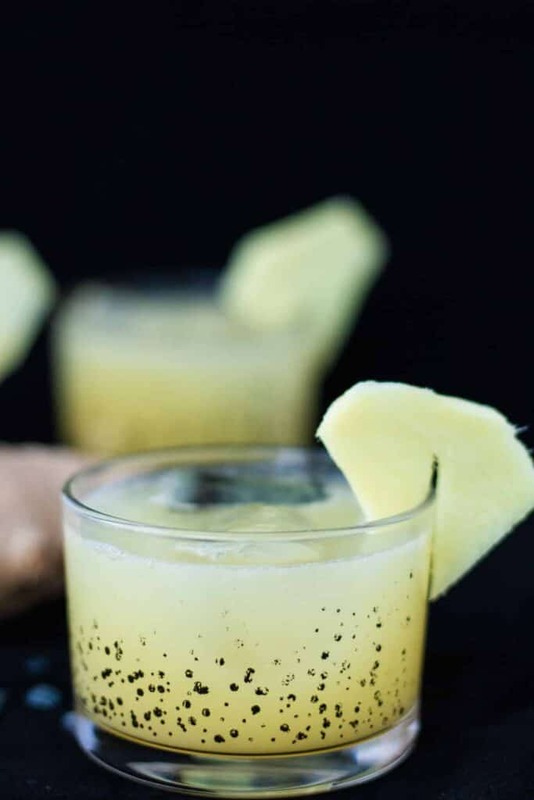 So I say – this winter, skip at least one of your alcoholic cocktails (which, by the way, has sorta the opposite effects as ginger & lemon) and make this Lemon Ginger Mocktail instead. I know I will! Did you try this recipe? Please leave a comment and a rating below and let me know what you think! And let me know your favorite cold-fighting ingredients while you’re at it! 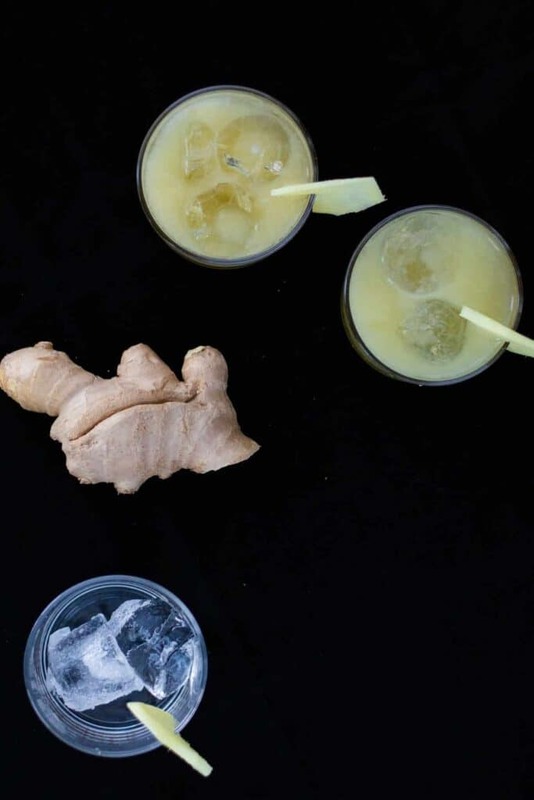 Rub the rim of the glass with the sliced ginger. Place a few ice cubes in the glass and pour over the ginger shot and lemon juice.